Our annual parliamentary awards ceremony and alumni reception is scheduled for Wednesday 27 June in the Beehive Banquet Hall. This year we will announce 25 recipients of Fulbright New Zealand graduate awards to study or research in the US, and recognise the many other recipients of Fulbright and associated NZ-US exchange awards in the past year. 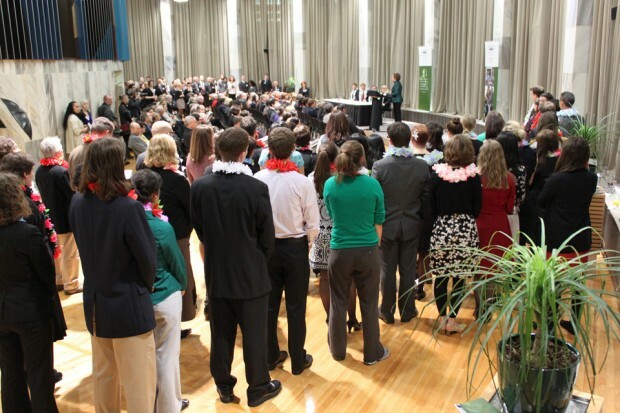 All alumni are very welcome to attend but registration is strictly required – email info@fulbright.org.nz and Val will post you a printed invitation.